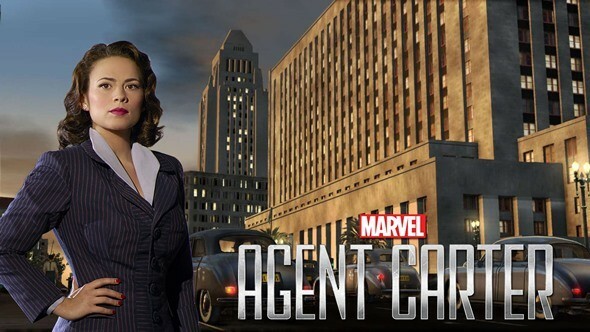 Will there be another season of Marvel’s Agent Carter? Star Hayley Atwell certainly hopes so. The actress recently spoke with The Hollywood Reporter about the future of Agent Carter and her new ABC drama, Conviction. The season two finale of Agent Carter airs tonight on ABC. What do you think? Do you watch Marvel’s Agent Carter? Do you want a third season? I agree with many others who have commented. This is an excellent series. The story line is very interesting and the acting superb. The dialogue and acting is leagues above most other shows on TV. Please!!! Bring this show back. Please have a season 3. Agent Carter is my favorite TV show. I disagree with comments that season 2 was weak. The acting was absolutely superb and the interactions between Peggy and Jarvis were endearing and very often a real hoot. There isn’t a single weak link including the storyline which I thought was remarkable. I don’t know where the supporting actors are coming from, but they are doing a great job. Loved the villains. This show is arms and legs above its competition including Agents of Shield and I’m hoping for a third, fourth, fifth, etc., season. Bravo! Really liked the first season, but the story line of this season was not that interesting. It lost something this season for me. Yes ! Better than most series on TV ! I’d just like to see Jarvis get baddass enough to deserve having an AI named after him. My GOD, I don’t understand why this is a debate. This is one of the best shows on tv right now! Not only should there be season 3…but, 4,5,6 should be right behind it. Please renew. I love this show and the characters, and it’s the most adult feeling superhero type of show on tv. I love Agent Carter! It was a miracle though that they renewed it for a second season but who knows.. hopes up! I just dont get why it doesnt make numbers.. I mean its Marvel and besides its awesome as it is..
i think it’s BS that ABC won’t commit one way or the other. I SURE HOPE THERE IS A SEASON 3. I REALLY LIKE AGENT CARTER!